under the small umbrella: What would you do if another Earth appeared? With a trailer that seems to tell you nothing about what the film is about apart from another Earth appears and you can win / pay for tickets to get there. According to the synopsis there is also a story of loss. This however doesn't really come across in the trailer. 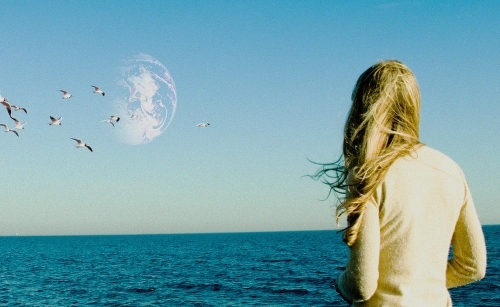 In ANOTHER EARTH, Rhoda Williams (Brit Marling), a bright young woman accepted into MIT’s Astrophysics Program, aspires to explore the cosmos. A brilliant composer, John Burroughs (William Mapother), has just reached the pinnacle of his profession and is about to have a second child.